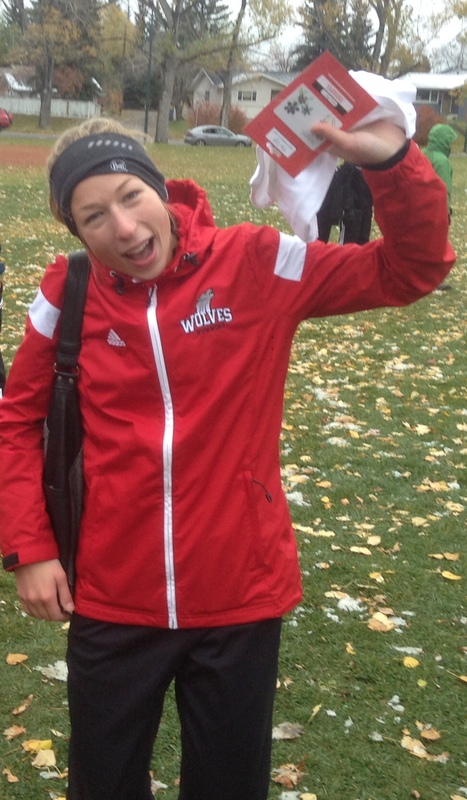 Wolves runner Jamie Wigmore won her second ACAC race of the season on Saturday, capturing the Jordan Fish XC Running Race in Calgary, hosted by SAIT Polytechnic. Under cool, windy, and slushy conditions, the fourth year athlete clocked a time 19:51 for the 5 km course. Wigmore’s teammate Maria Houle also cracked the top ten, placing 10th. Collectively, the Wolves women were third in the team standings behind Concordia University Edmonton and Lethbridge College. Brandon Wladyko led the Wolves men on Saturday with a 7th place finish in the men’s 8 km race. The Wolves men were the 4th best team; Lethbridge College won the race. Next up for the Wolves XC team is ACAC #4 on October 17 in Camrose. 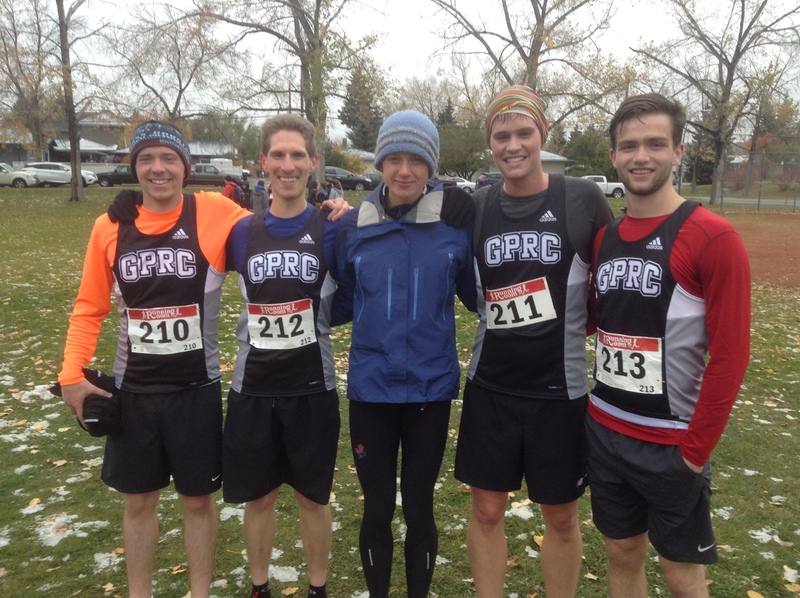 This entry was posted in Cross Country and tagged ACAC, CCAA, Cross Country Running, Fiona Benson, GPRC Wolves Cross Country, GPRC Wolves X-C Running, Jamie Wigmore, SAIT, Wolves Cross Country Running. Bookmark the permalink.